A development application for stage two and three of ESQ 1818 has been lodged to Penrith Council for approval. A total of four residential buildings ranging from four to five storeys as well as one mixed use residential building with about 1225 sqm of retail space are the second and third stage of the development. 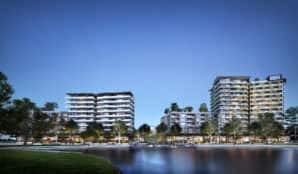 The entire project, which includes fives stages of construction, will cover a 6.5 hectare footprint on the Panthers precinct and feature a lakeside promenade as well as landscaped space, shopping and restaurants a stone’s throw from the Nepean River. 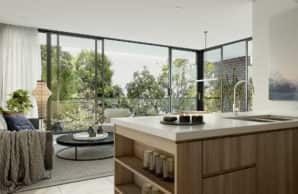 Penrith based property developer Astina Group has been awarded the mammoth task of building ESQ. “We have been impressed with what we have seen with Astina and the fact that they are local was icing on the cake,” CABE chief executive Andrew James said. Astina has recently built projects such as Home on High and East Bank and builder William Schrumpf welcomed the new project. 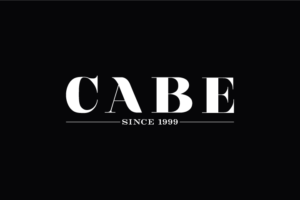 “We are extremely excited to be teaming up with CABE to deliver ESQ,” Mr Schrumpf said.